Not to sound dramatic, but this semester I was a part of history being made here in Pittsburgh. The Carnegie Museum of Natural History was the host of the 2017 ICOM NATHIST Conference, facilitated by a partnership of the museum and the International Council of Museums and Collections of Natural History and focused on the newest addition to the winding exhibition halls. The exhibit is on the Anthropocene, a new geological age now being discussed in the scientific community, marking the impact humans (and human activity) have had on the earth. 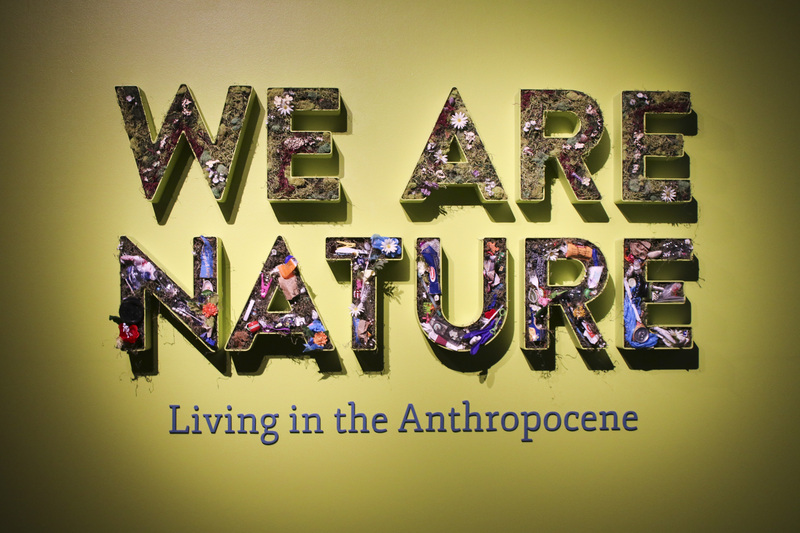 We Are Nature: Living in the Anthropocene is the first exhibit of its kind in all of North America. Described as “unflinching”, it is an incredible, in-depth reflection of how we have impacted the environment in a myriad of ways. While the museum bustled with regular programming and preparation for the conference, I was aiding the marketing department to keep the usual public engagement accounts running, like Instagram, Facebook and the Tumblr blog. Across accounts, it was my job to generate content that was, to borrow a word, symbiotic with the events and related programming to not only the conference, but the centerpiece itself, We Are Nature. From planting vertical gardens to beginning a backyard compost, the readers of the Carnegie Museum of Natural History Blog are armed with information to retrace their steps back to nature and continue to make Pittsburgh a greener city.